PRINCETON, FL. 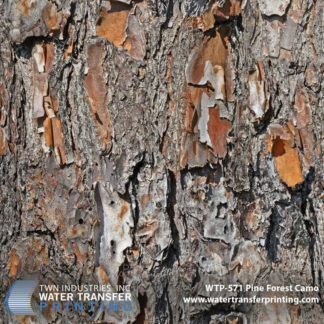 – March 20, 2012 – TWN Industries, Inc., the leading water transfer printing equipment and film supplier, announces the release of Pine Forest Camo water transfer printing film for hard goods. Water transfer printing (also known as hydrographic printing and camo dipping) makes over bows, firearms, and other hunting gear by applying highly detailed graphics to surfaces. Pine Forest Camo was designed by Florida Native Warren Wright, in 1989. While hunting in Central Florida and watching himself and other hunters sitting in tree stands, he was inspired to create a pattern that would help hunters blend into the tree trunk and allow nature’s foliage and shadows to hide them. After many years of research, Wright developed this pattern for the serious deer and turkey hunter from coast to coast to help them hide in the pine forest. As an alternative to sticks and leaves camo, Pine Forest Camo allows hunters to become one with nature and just “Be The Tree”. Now gun stocks and other hunting gear can “Be The Tree” with TWN’s water transfer printing film. “Pine Forest Camo had a great reception at this year’s ATA show when hunting fanatics saw samples of clothing and sample parts from TWN. I’m excited to have Pine Forest Camo available to the public and I feel you won’t find a better pattern for hiding in the pine forest,” stated Wright. Pine Forest Camo will be available exclusively from TWN Industries. Small quantity Accessory Packs available immediately, production quantity available the week of April 16th. 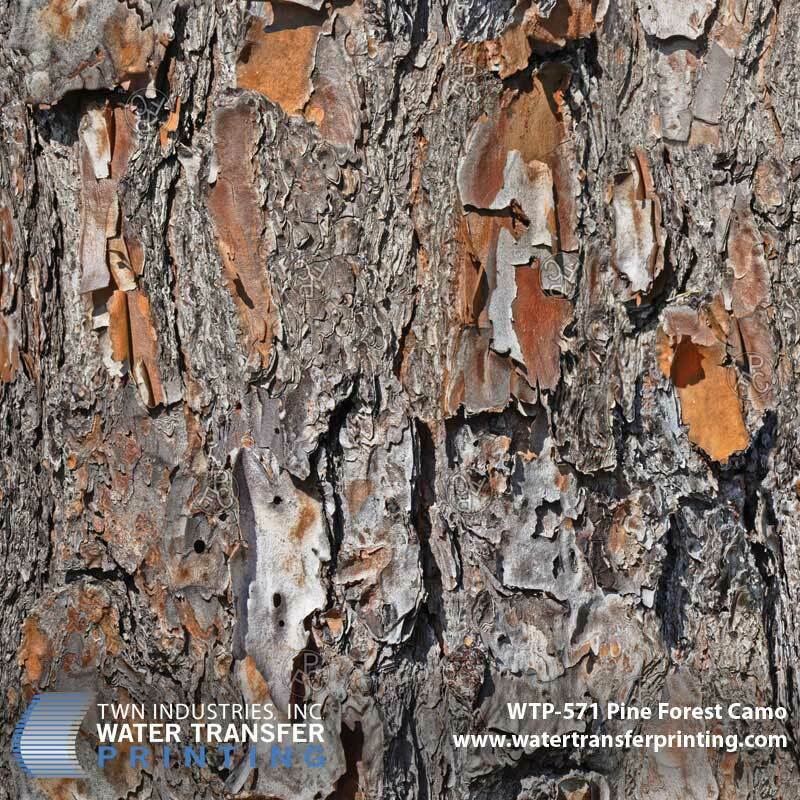 Part number for Pine Forest Camo is WTP-571. To find a TWN Certified Processor to decorate parts for you or to order film call 305-258-9622.